The interest of Indian women in the field of riding has increased immensely in the past few years. To promote women’s equality and empowerment in the society, various biking groups have been established. Starting from 2011, these all-women rider groups allow them to show their love for bikes. Every year, March 8th is celebrated as Women’s day to acknowledge the success of women in different fields. Here is a list of popular all-women riding groups across the nation that you can join to show your love for riding. Started by Urvashi Patole in January 2011, the Bikerni is the first and largest all-women motorcycle gang in India. Her aim was to motivate women for riding and give them a chance to participate in rides. Spread across all major cities in the country, this riding group is led by the core committee of the founder, along with Sheetal Bidaye and Chithra Priya. All women riders in India can sign up for the group by visiting this link. Maral Yazarloo has been a rider for a long time and thought of creating an all-women riding group for ladies across the nation. Christened the Lady Riders of India, the group comprises of women riders who love riding heavy motorcycles, having an engine capacity of 650cc or more. This group was also present at India’s biggest biking festival, India Bike Week which was held on February 19th and 20th in Goa. An extension of the Harley Owners Group, the Ladies of Harley is a riding group which invites all women who ride Harley Davidson’s to show their love for powerful bikes and ride to various destinations in India. Women owners of Harley-Davidson bikes in India were present at the India Bike Week 2016 festival to celebrate their womanhood and love for Harleys Davidsons. An Ahmedabad-based biking group of women, the Riderni was founded in the year 2012. According to the group, it’s not just about riding motorcycles but, it is for those who love their motorcycles. This group enables them to overcome their limitations and achieve their passion. It also encourages every woman to be proud of who she is. They are a Bengaluru based Royal Enfield riding group of women. Established in 2011, Hop On Gurls was set up to fulfil the dream of women wanting to ride a Royal Enfield and conquer open roads. The community encourages women riders to ride Royal Enfield motorcycles and teach them the art of riding in style. So, all women riders who have a dream of riding a Royal Enfield, can ‘Hop On’. Biking Queens was founded by Sarika Mehta last year and is based out of Surat. Sarika formed this group to work for the welfare of society. The growing interest of women in biking laid down the inception for the formation of the Biking Queens. All women riders from Surat who want to ride on two-wheels and work for society welfare can join the community. Love Motocross and drag racing? This is the place to be. 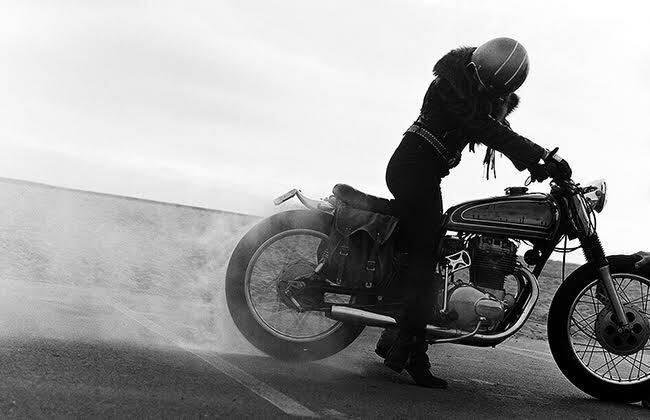 Biker Babez takes the passion of riding to a whole new level. They help women riders to get into endurance, drag and motocross races and encourage them to pursue their dreams. It also organises awareness rides and rallies in Chennai. BikeDekho.com wishes its readers a Happy Women’s Day. Cheers!